Bonding is the application of composite resin or type of plastic, that is natural tooth colored to repair a decayed, chipped, fractured or a discolored tooth or teeth. 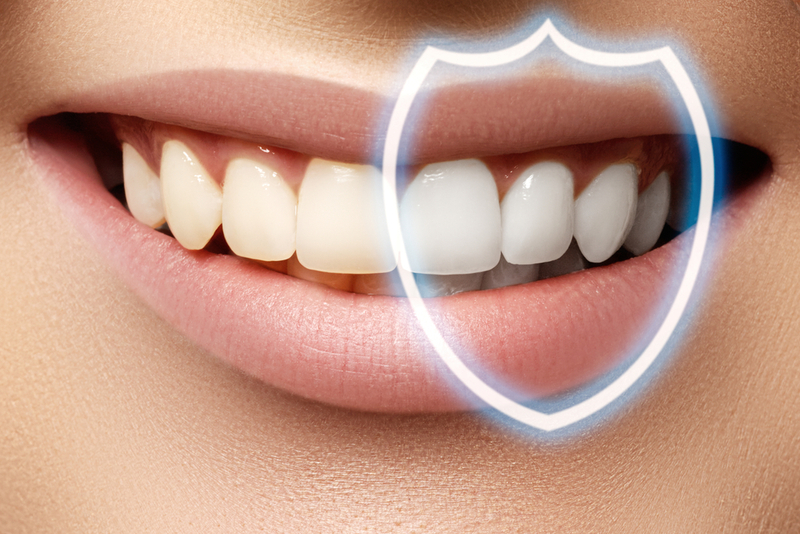 Unlike veneers, which require a customized mold to be created and the casting to be sent to a laboratory, bonding can be done in a single dental visit. The procedure is called bonding because of the material bonds to the tooth. Bonding is among the least difficult and least expensive of cosmetic dental procedures. The composite resin used in bonding can be formed and polished to match your surrounding teeth. The majority of times, bonding is used for cosmetic purposes to improve the appearance of a discolored or chipped tooth. It additionally can be applied to close off spaces or gaps between teeth, it can be used to make teeth look longer or to alter the shape or color of teeth. Occasionally, bonding is also applied as a cosmetic alternative to amalgam, or metal fillings, or to protect a tooth that has the root exposed if gums recede. No preparation is needed for dental bonding. Even anesthesia often is not necessary, unless the bonding is being used to fill a decayed tooth. Our dentist will use a shade guide to select the composite resin color that most closely resembles the shade of your teeth. After you and our dentist have selected the shade, our dentist will slightly scour or etch the surface of the enamel to roughen it. The tooth will then be lightly coated with a conditioning liquid, which assists the bonding material to adhere. After the tooth is readied, our dentist will apply the tooth-colored, putty-like resin. The resin is molded and smoothed until it’s the proper shape. Then the material is hardened with an ultraviolet light or laser.